The dinner series brings together chefs, designers, artists and spirit makers from across the prairie provinces to create multi-course dining experiences in four different cities. The Calgary dinner takes place on September 27. The culinary traditions of the Canadian prairies often get short-changed in the foodie world. Despite providing so much harvest bounty to global markets, the rest of the country often overlooks the chefs and artisans of the prairie cities even though this area is so rich with food professionals constantly creating innovative and exciting regional cuisine. That’s what sparked the creation of the Prairie Grid Dinner Series, a collection of dining events hosted by the Calgary-based Canadian food website Eat North. Eat North started the program last year with a series of dinners that brought together chefs, food producers and spirit makers from across the prairie provinces to create multi-course meals that took place in four different cities. The idea was to not only shine a light on the bounty of the prairies, but to also help food lovers in each city celebrate what’s around them. This year’s dinners will feature chefs JP Pedhirney (Bridgette Bar, Calgary), Steve Brochu (Chartier, Beaumont), Thayne Robstad and Beth Rogers (Hearth, Saskatoon), Mike Robins (Sous Sol, Winnipeg) and Jessica Young (Diversity Food Services, Winnipeg). As with last year, each dinner will consist of five courses and the tour will stop in Calgary, Edmonton, Winnipeg and Saskatoon. 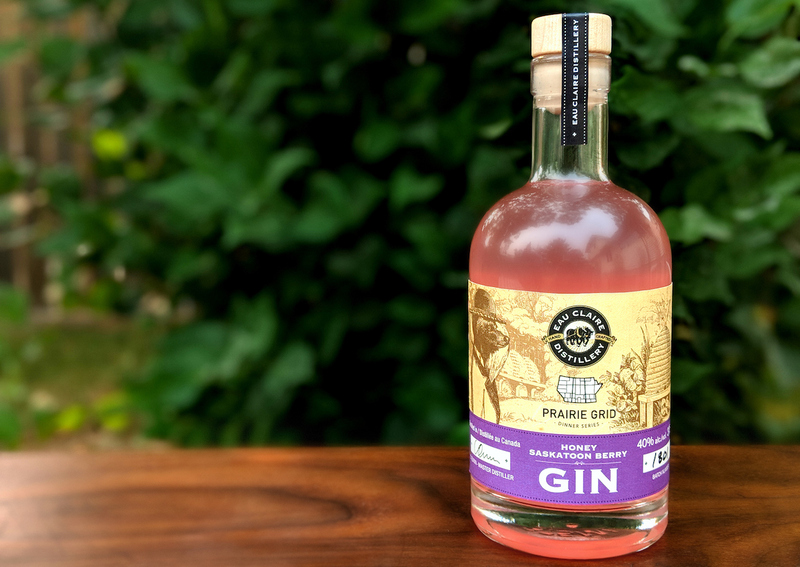 To take care of the drink portion of the dinners, Eat North worked with Turner Valley’s Eau Claire Distillery to create a special honey Saskatoon berry gin and Calgary’s Porter’s Tonic to make a signature rhubarb lavender tonic syrup. Eau Claire Distillery’s honey Saskatoon berry gin. Photograph courtesy of Eat North. 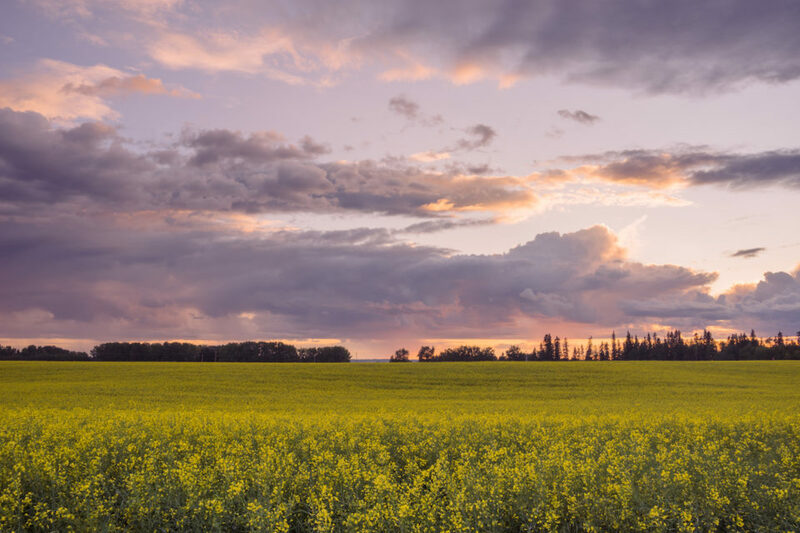 To further differentiate from last year’s dinners, this year’s theme “From Dawn to Dusk” is meant to prompt participating chefs to draw inspiration from the beauty of the prairie skies. The theme won’t only be reflected in the food and the sunset colours of the gin, but also through a projection art installation by Saskatoon artist Lindsay Rewuski and custom tableware, chef and server aprons and art pieces. The Calgary installment of Prairie Grid: From Dawn to Dusk will take place on September 27 at the Al Azhar Shriners Fezdome (5151 101 St. N.W.). Tickets range from $140 to $175 and are available at eventbrite.ca.